Final polish, use with a water spray. 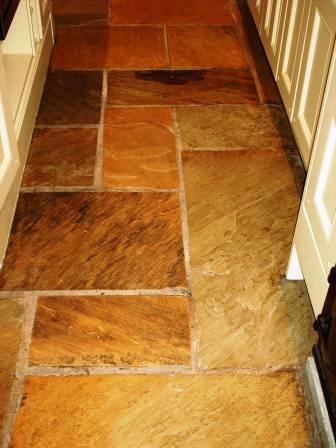 At Tile Doctor we see Sandstone/flagstones used at lot as Kitchen flooring, however as with any natural stone it needs to be sealed to protect it and bring out its beauty and colour. 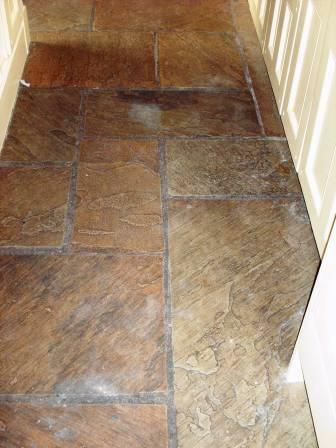 One of the biggest problems we find with stone flooring in a kitchen is with the sealer becoming stripped away by the continuous use of cleaning agents not designed for this type of surface; without its protective sealer porous stone quickly becomes ingrained with dirt making it increasingly difficult to clean effectively. To remove any excess sealer before cleaning use Tile Doctor Remove & Go Sealer remover which can be applied using a deck/scrubbing brush; you can also use a buffing machine fitted with a black buffing pad however on a heavily riven Sandstone this may prove partially ineffective due to the heavy texture as the machine will miss where it dips, so hand held cleaning may be the only option open to a non professional tile cleaner. 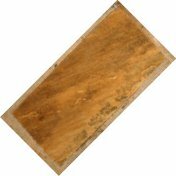 Tile Doctor has agents throughout the UK who can offer to mill your Sandstone and take up to 80% of the roughness away leaving it akin to a smoother flatter finish with some texture which will be much easier to maintain. To remove stubborn marks and sealers a stronger product maybe required such as Nanotech HBU remover (Heavy Build-Up), use as directed on the bottle. 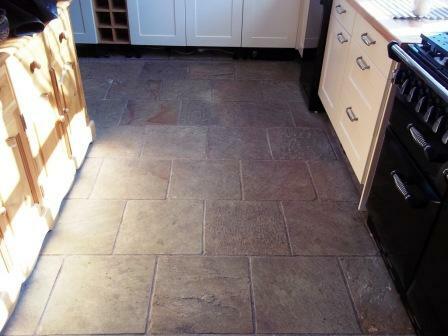 This picture shows how Tile Doctor has managed to clean the dark patches from this Sandstone floor. 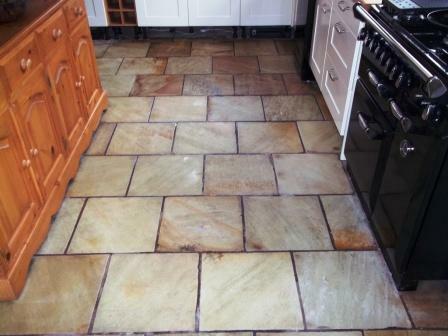 Picture shows how cleaning and sealing has brought out the colour and beauty of the Sandstone.